In his fourth poetry collection, Masks and Icons, R. Daniel Evans examines the complexity of love and desire, and exposes the ways in which these emotions both intersect with and deviate from each other. 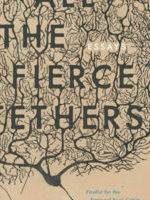 Evans brings a microscope to the multiple small evidences of love in the world, using the lens of art to view the beauty and pain of interpersonal connection, inviting readers to look through the mask of the self and perceive the extraordinary. Section I, “From The Land of Walt Whitman,” focuses on the intimacy and inner-life of a speaker’s relationships with individuals, beginning with a one-sided conversation with Whitman himself. The narrator sits on a beach, fairly melting with desire over a distant beauty to whom he never speaks, but whom he imagines as Whitman’s muse. He wonders how, with such an object of desire near him, Whitman “ever got any poems written,” noting, in this metaphysical moment, that desire is an obstacle to his own work. Sexual desire, then, is all-consuming, and the speaker suggests that poets instead mine the world at large for the rich possibilities of interaction, with the vibrancy of the natural world, with the music of the oppressed, and then to write poetry that speaks America. Yet none—or few—of us are free from desire, or from being the object of others’ desire. In “Ganymede,” Evans uses the mythological figure, snatched unwilling to do the bidding of a powerful deity, to explore themes of objectification, exploitation, ageism, and loneliness. The speaker seeks life, via income and employment, and can receive it only by satisfying the desire of the employer, the job creator. The desire is entirely one-sided. Where Ganymede served as cupbearer to Zeus, the speaker bears cups of alcohol to try to numb his aversion, and cannot bring himself to look into the “rheumy eyes” of his captor. We feel the sense of tainted dreams in the folding of the “blue twill suit,” likely the interview suit, which the speaker’s father had bought him. Would the speaker feel differently if the man were virile and powerful, like Zeus, rather than sharp-nailed and wrinkled? Would there be the same sense of violation? That exploitation is not mirrored in the next exploration of unrequited desire, “First Day Crush.” There, it is the speaker who yearns. While that desire is ultimately thwarted, we find that the anticipation the speaker felt in his fantasies may be worth more than the unachieved consummation. Moving from the nature of desire to the nature of love, the speaker turns to familial bonds in “In Memory of My Father,” perhaps recollecting the father who bought the blue twill suit. Parental love, at its best and purest, provides support and unconditional nurturing. In showing us the piano that “remains unplayed / While upstairs / my father sleeps in silence deep as snow,” Evans shares the tangible silence of loss we experience when a parent dies. The next section moves beyond the self to the speaker’s ongoing love affair with the Philadelphia that nurtures him. He shows us the many rooms in the house of Philly, from “Chinatown,” with its juxtaposition of flute music and subway rumbles, to the different faces of the Schuylkill River, to the clusters of schoolgirls who made him “think of God, education / girls and motion / and crowds, all at once.” The section calls back to the first poem’s urging to poets to go out and live the world around them, that they might then have something to say. Masks and Icons offers a reflection on desire as an agent of both stagnation and change, and love as an instrument of connection. It offers us the opportunity to walk through the rooms of our own lives of love, and to rediscover them.